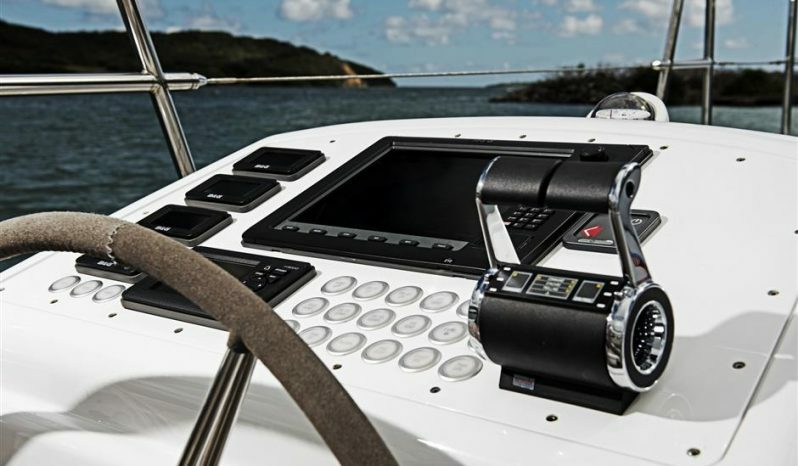 The Ocean Explorer C-60 successfully treads the line between the sublime offshore cruising set and the performance race boat. The result achieved is minimal compromise between race numbers and cruising comfort and style. 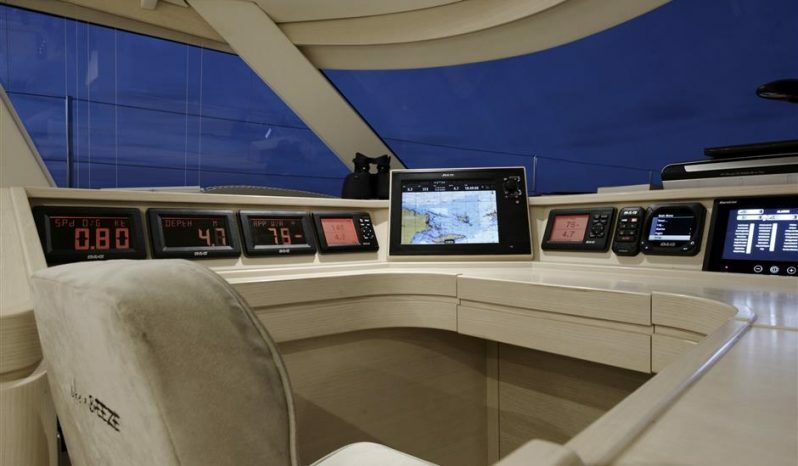 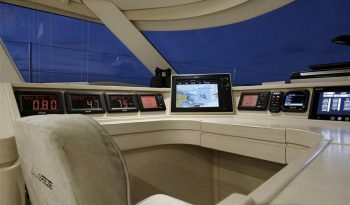 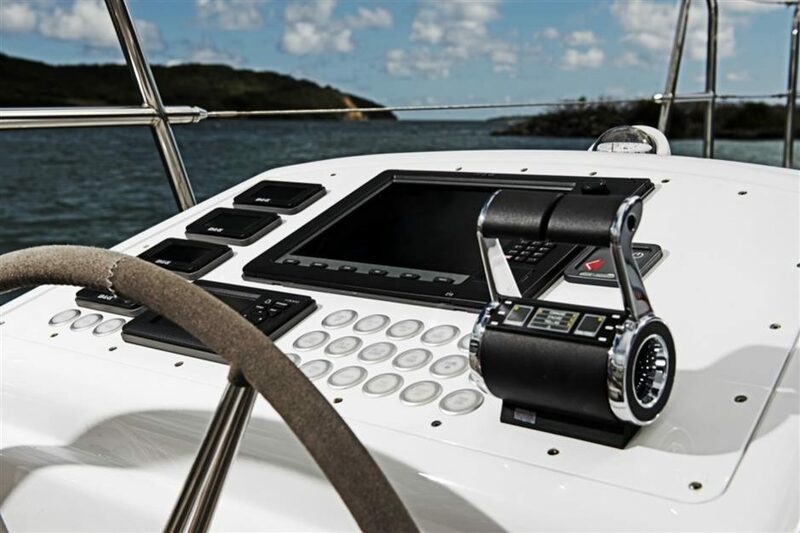 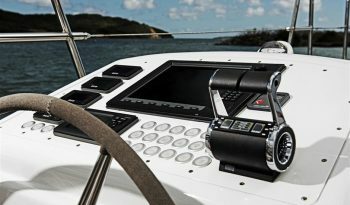 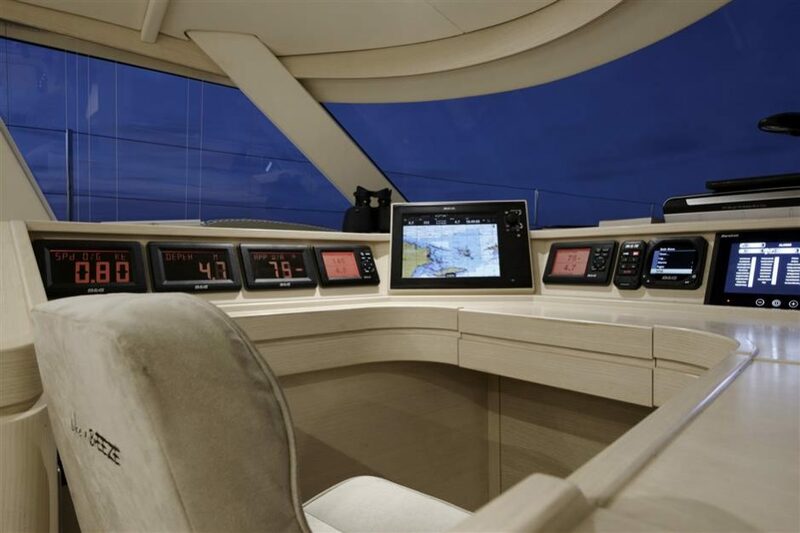 To the port and starboard of the aft entertaining area, sit two helm stations – each fully equipped with navigation equipment, a wheel and bow thruster joystick to enable fast and efcient steering. 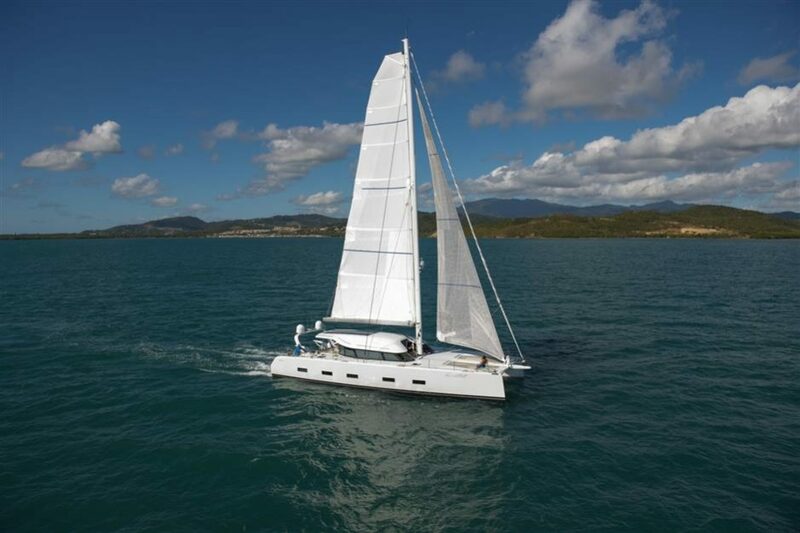 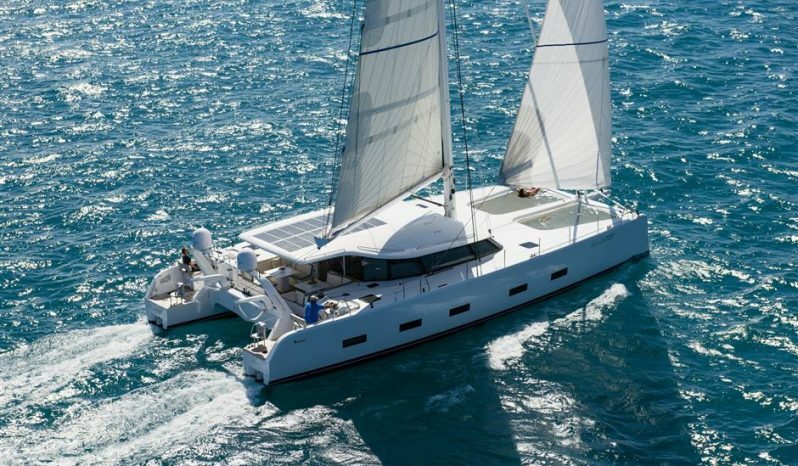 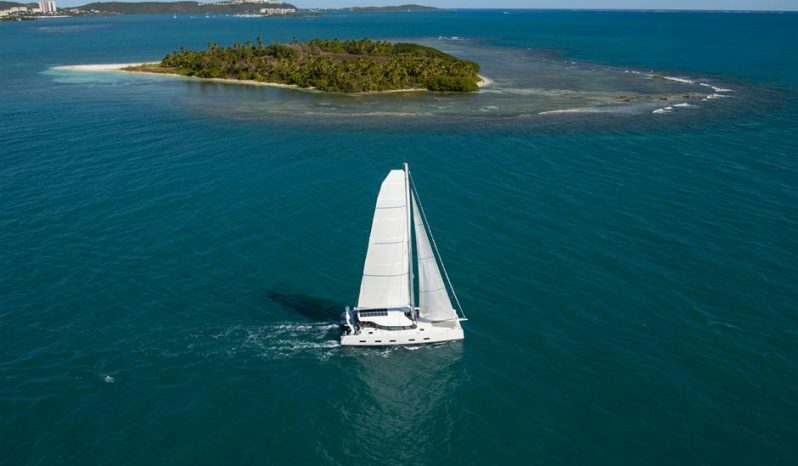 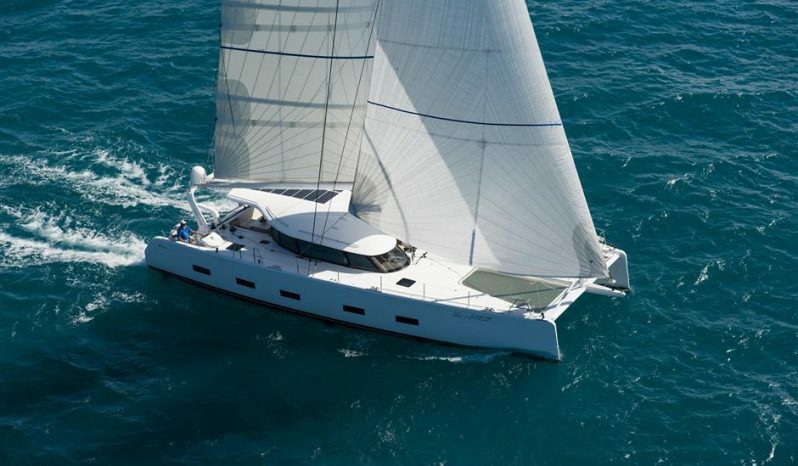 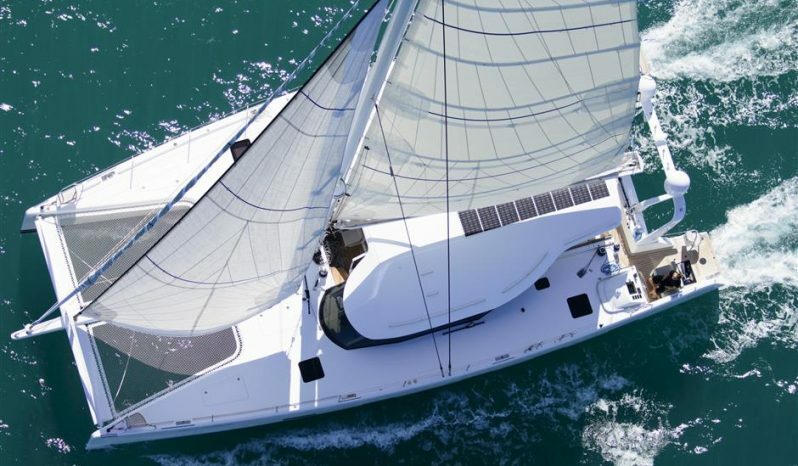 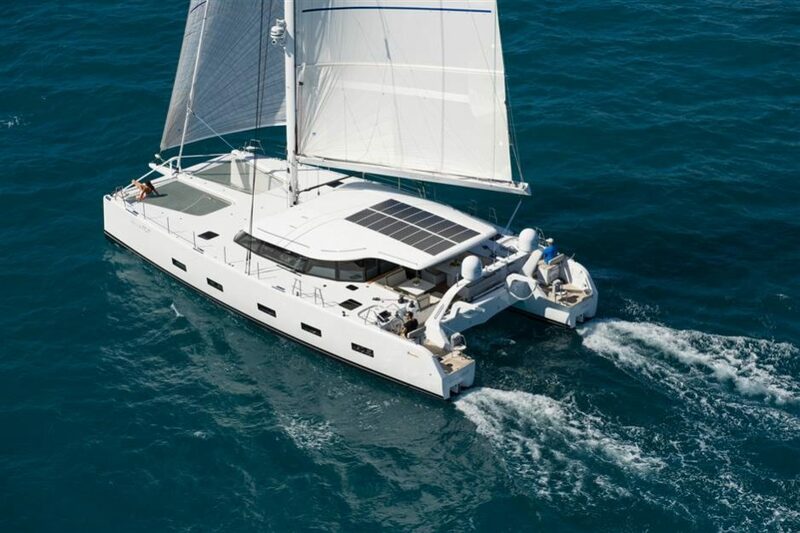 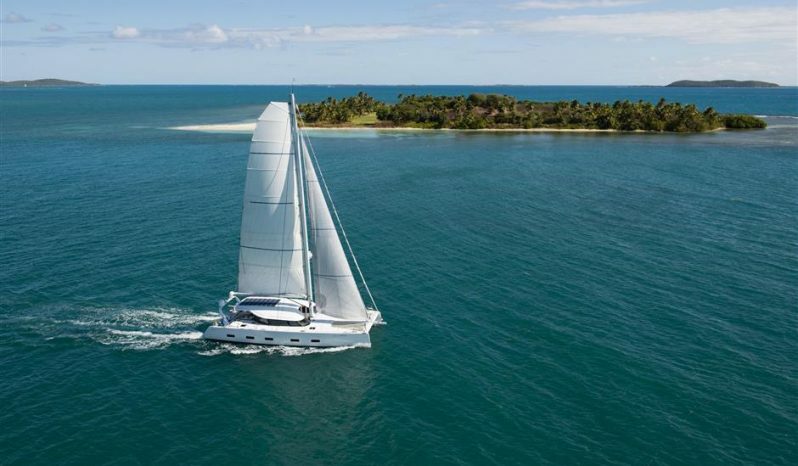 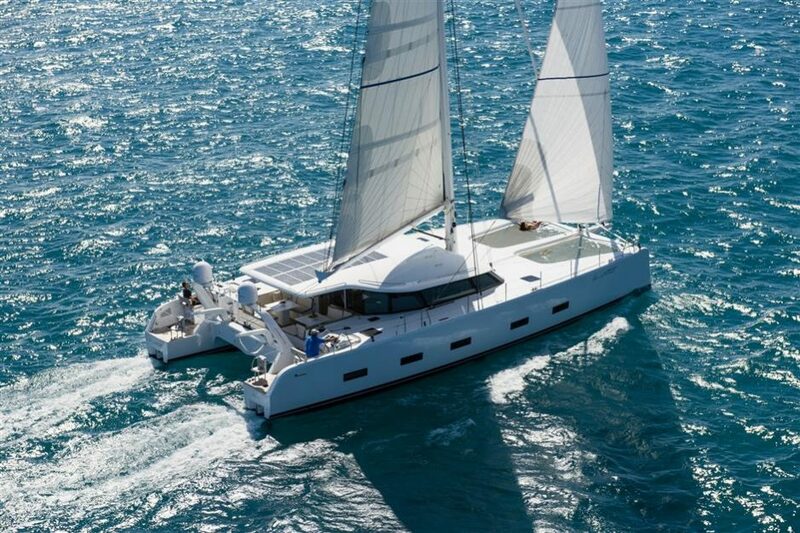 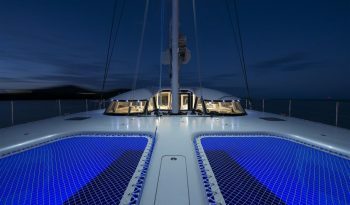 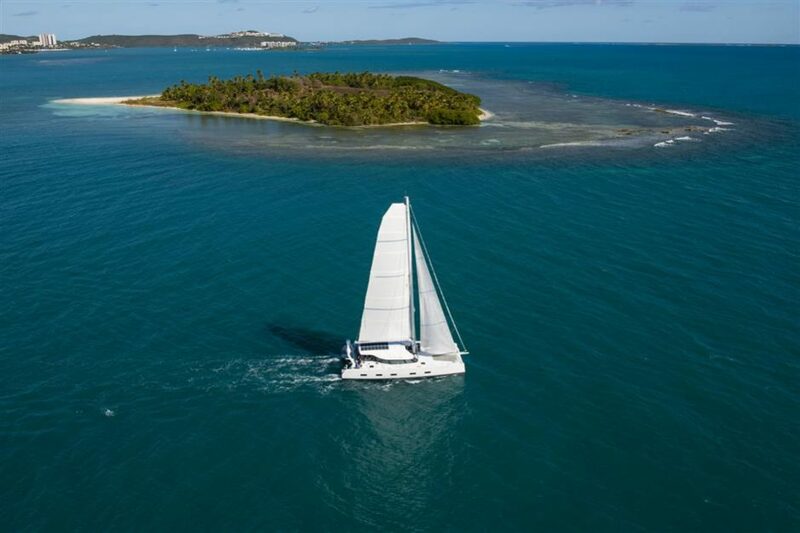 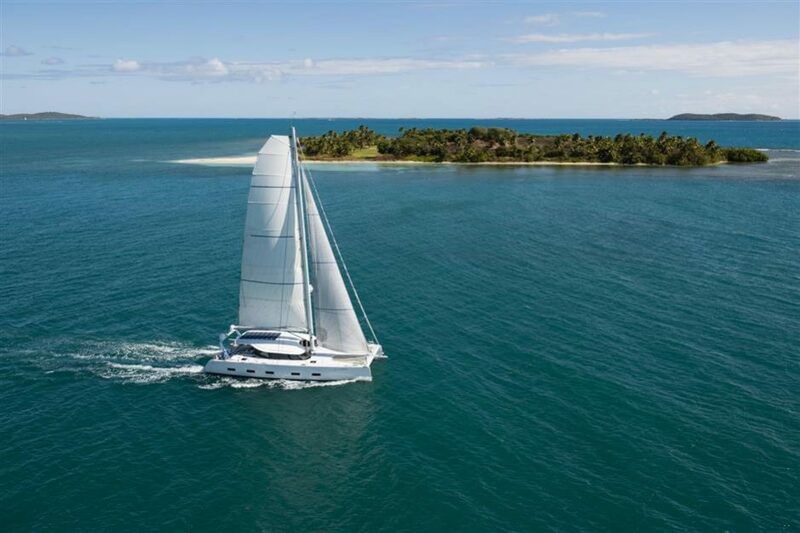 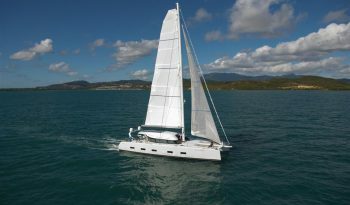 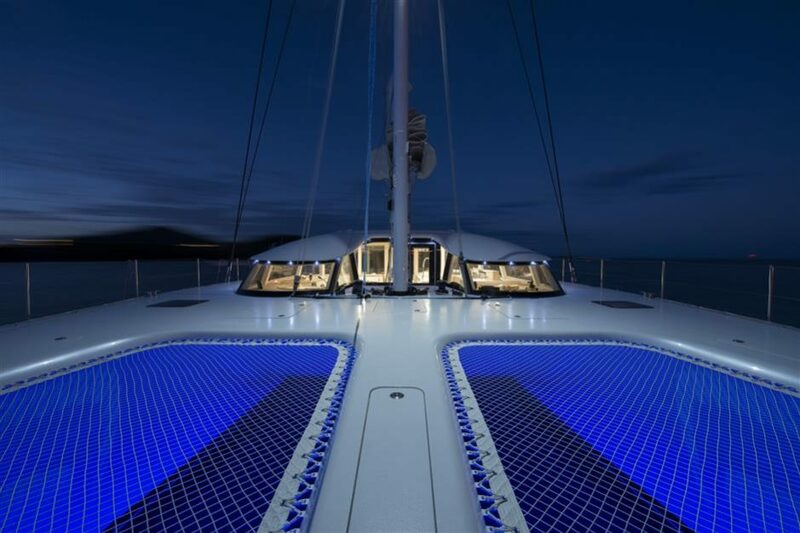 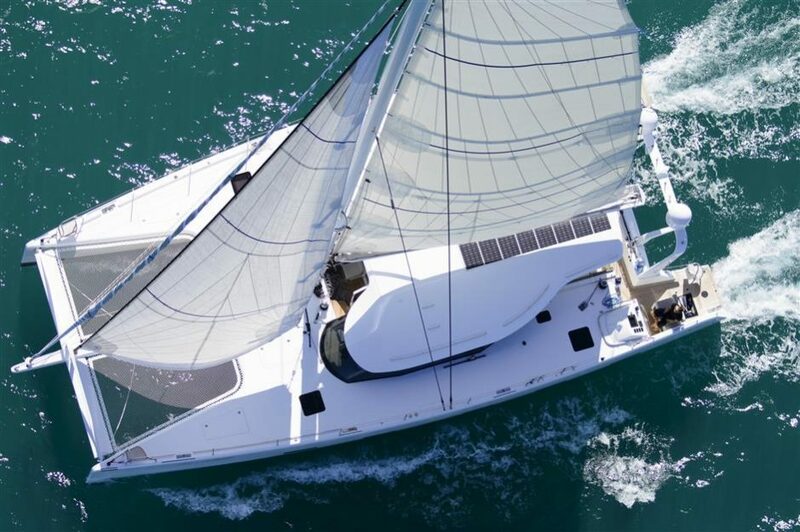 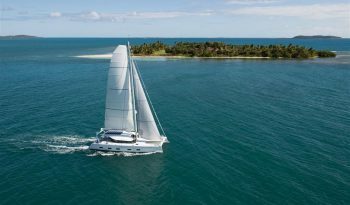 The fore of this luxurious catamaran boasts a highly specialised system of Harken rigging; a self-tacking jib, and a number of motorised winches on the sail ensure that a crew of just two could navigate the Ocean Explorer C-60 to victory. 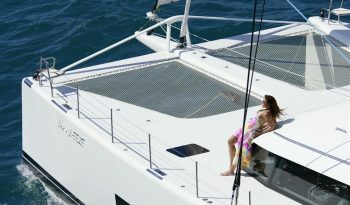 There is also a clever system of lines, which run under deck to ensure safety and simplicity with no tangling. The mast is stiff and light, of carbon construction by leading catamaran rig manufacturer Lorima, and is complemented by a North Sails sail wardrobe. 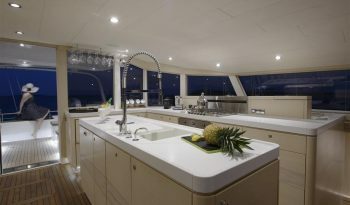 From the light ash interiors, to the chrome designer taps, the Ocean Explorer C-60 provides a real sense of home. 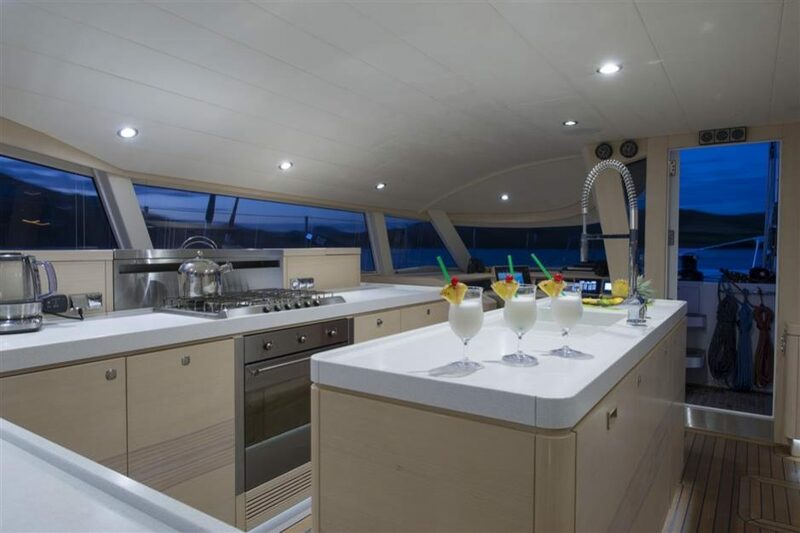 This boat’s main aim in life is to enable enjoyment, whether that’s in global races or relaxing with friends whilst cruising around the Caribbean. 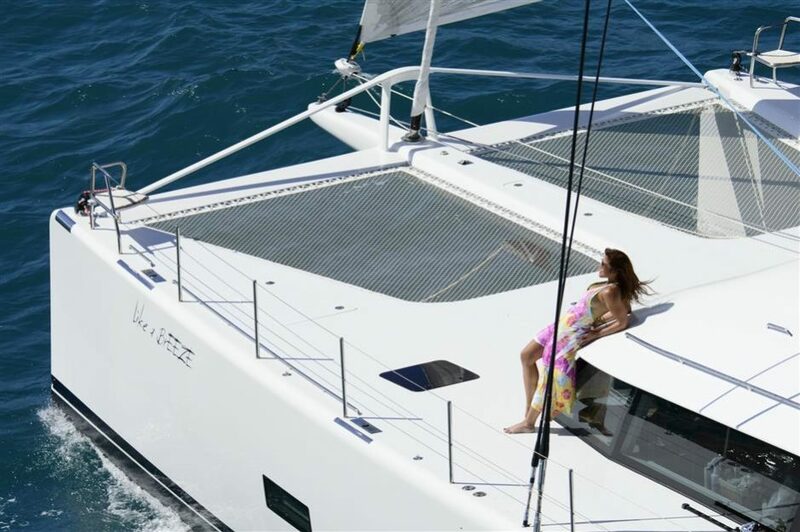 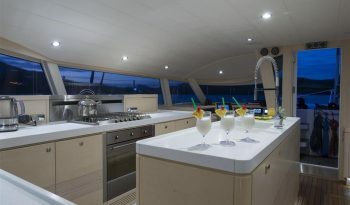 The Ocean Explorer C-60 has more curves than the average multihull, not just in fabrication, but also in interior design. 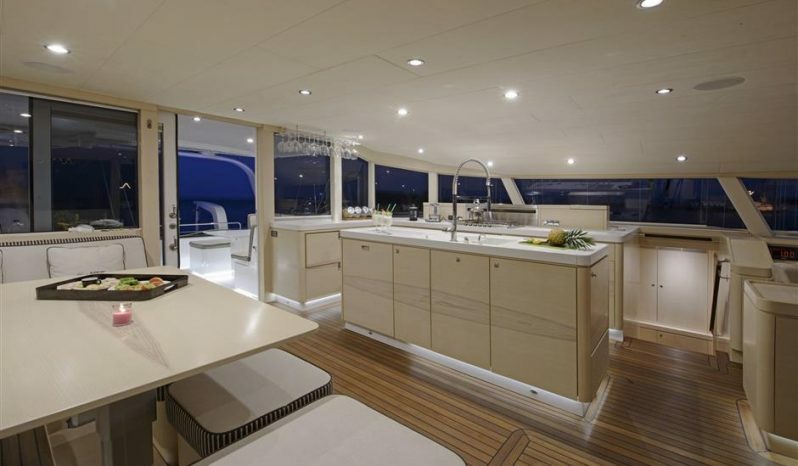 There are no stark edges or harsh corners to be found and she is full of clean, sweeping lines. 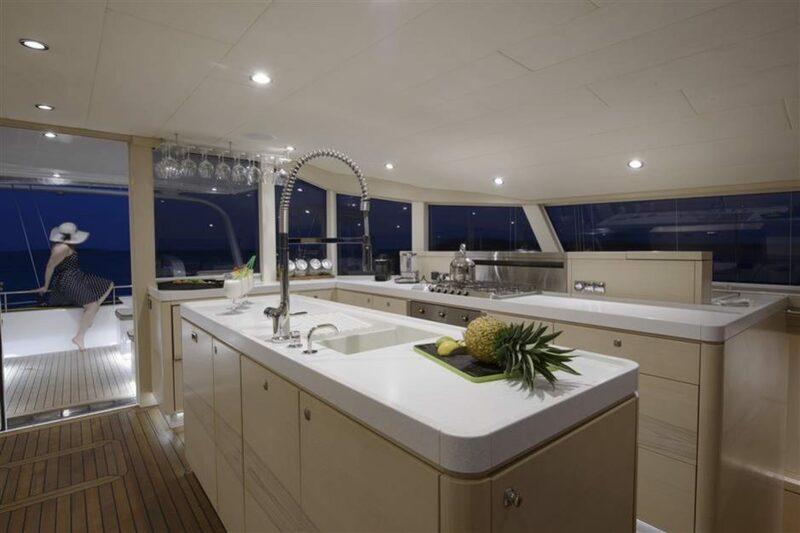 The Galley has all of facilities you would expect of a professional kitchen from a high tech extraction system, a full sized dishwasher and an ice machine, to full double oven with gas rings and soft close refrigeration drawers. 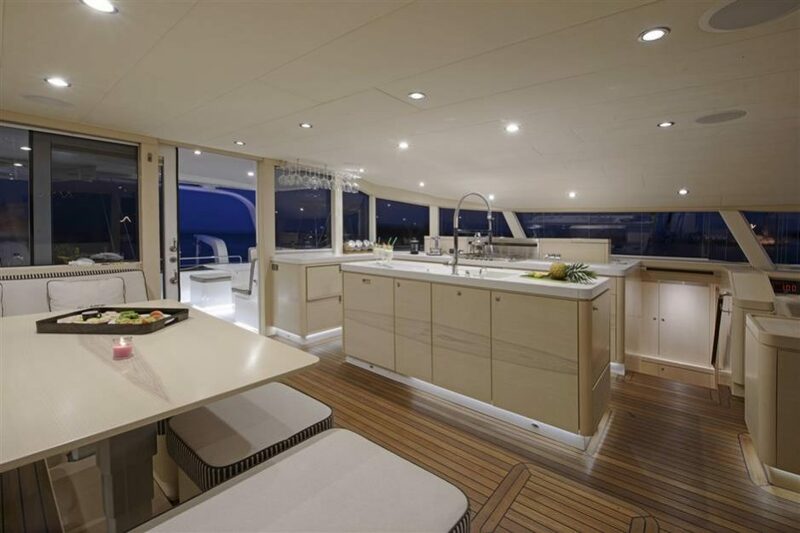 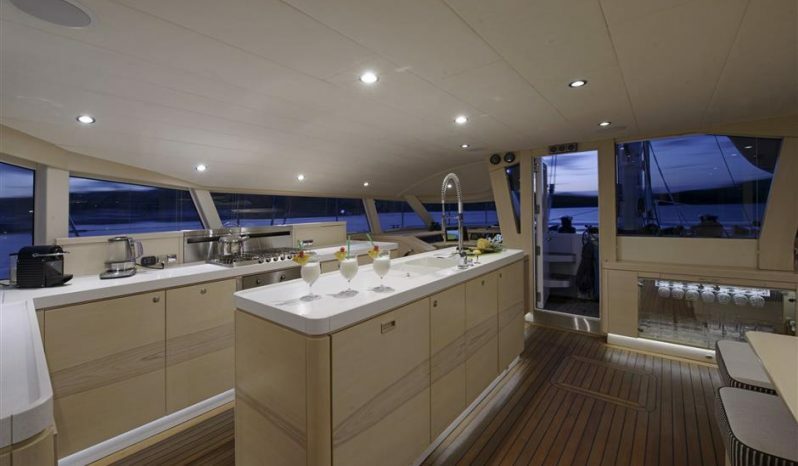 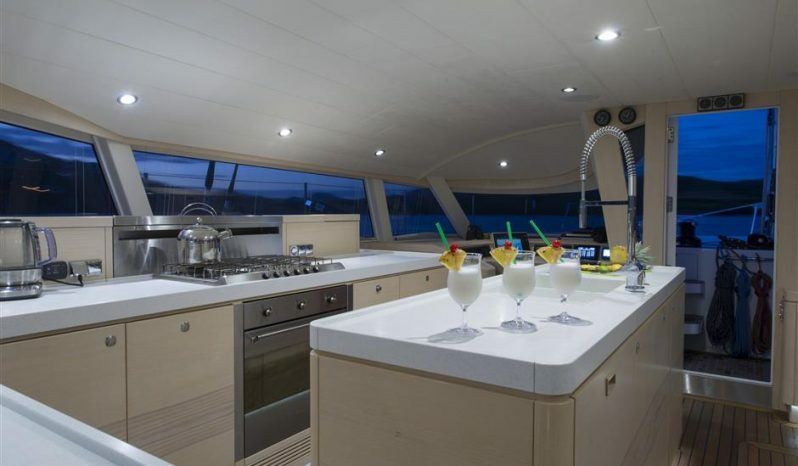 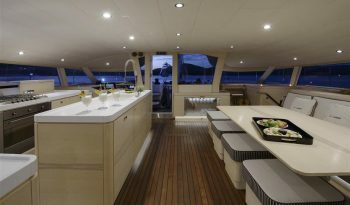 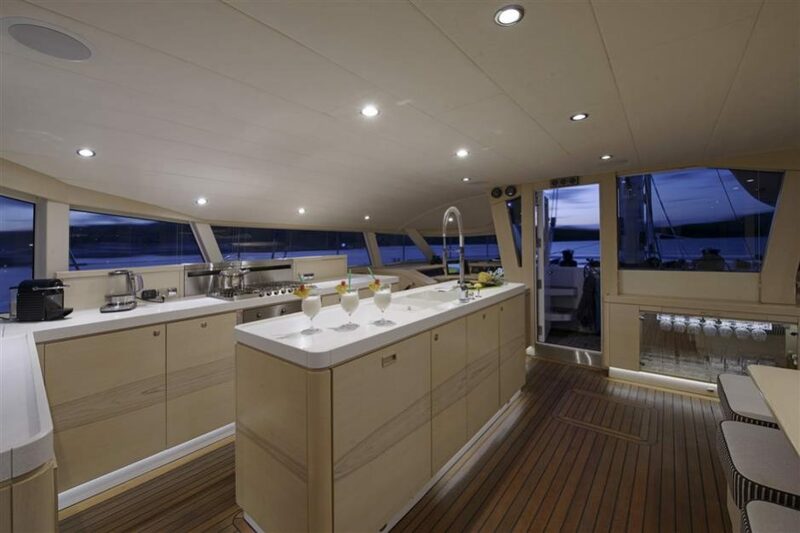 For those relaxed nights entertaining, there are also two substantial wine refrigerators and one large freezer compartment, set at either side of the main galley. — Washing machine hidden behind door.